Server virtualization continues to expand, passing the 50% mark in many companies with no slowdown in sight. As more critical servers running Oracle, SAP and Microsoft Back Office applications are targeted for physical to virtual conversion, IT managers are finding that performance, capacity and configuration management are more important than ever. Similarly, as companies make the transition to a heavily virtualized data center they’re realizing that maximizing performance levels and resource utilization are essential if they’re to meet cost requirements and maintain user SLAs. 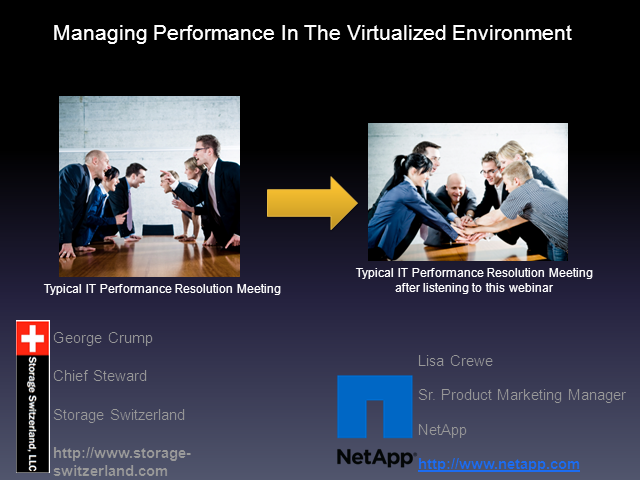 In this webinar, industry leader NetApp is teaming with Storage Switzerland to discuss how IT departments can confidently keep the virtualization ball rolling as they virtualize business-critical applications.